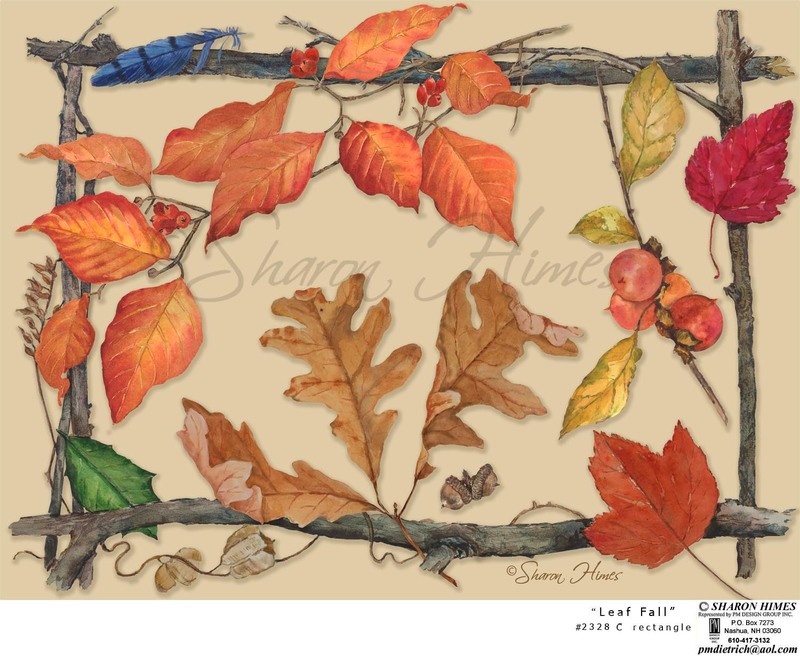 Autumn is a favorite time to paint nature! This week I am starting to find leaves that hint of autumn colors. Fallen twigs and small branches are fascinating with bits of lichen and other textures and colors. I like to paint the individual treasures I find on the forest floor, whatever catches my attention or curiosity. 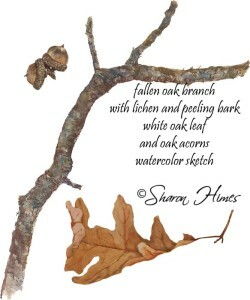 I painted the oak branch first, bringing the original in and setting it next to my painting. Using hot press paper lets me put a vague grayish sketch of part of the branch and then drip and scribble other colors on the wet part. Thicker, more intense colors spread and intermingle to help hint at various textures. Some colors, like the quinacridone paints, tend to spread when hitting a damp surface while others like french ultramarine are granular and cerulean blue is more opaque. Using any of these colors over a damp or drying sketch does interesting things on the paper! It is experimentation and relaxing fun. When I finished the branch and started painting a leaf next to it I found I kept trying to pick the branch up to move it ‘out of the way’ and then remember that I already moved the real branch! The various leaves, twigs, berries and nuts are destined for one of my autumn design ensembles. Manufacturers license my designs for use on products ranging from mugs and plates to accent rugs, fabrics and gifts.